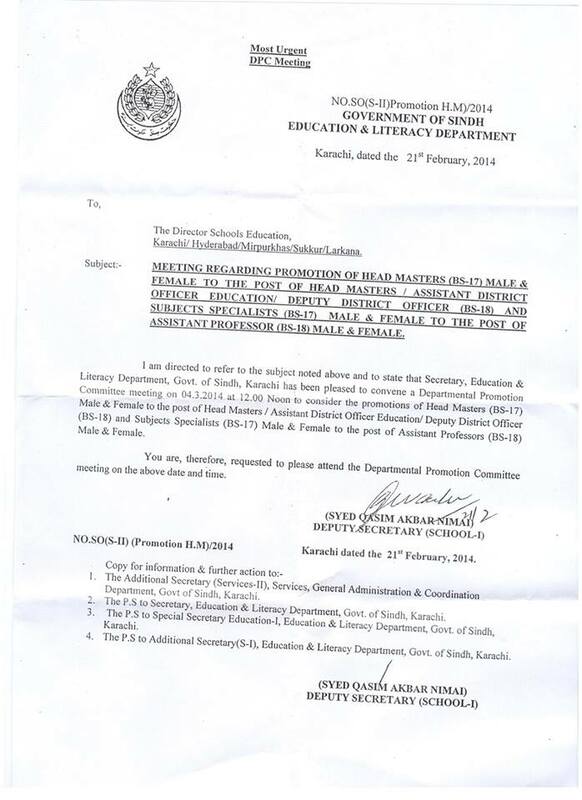 Government of the Sindh Education & Literacy Department Karachi has issued Circular No. 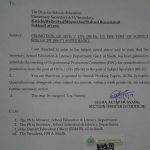 SO(S-II) Promotion H.M/2014 dated 21st February 2014 in connection with the Promotion of Headmasters BPS-17 & SS-BPS-17 of Education & Literacy Department Sindh. 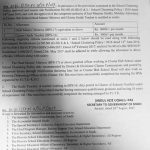 Meeting regarding promotion of Headmasters BPS-17, Male & Female to the post of Headmasters/Assistant District Officer Education/Deputy District Officer (BPS-18) and Subject Specialists (BPS-17) Male & Female to the post of Assistant Professors BPS-18 will be held on 04-03-2014 at 12:00 noon. 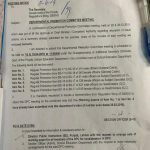 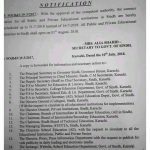 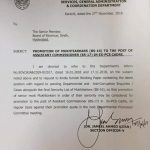 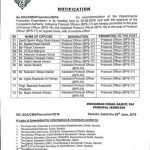 The Directors Schools Education, Karachi, Hydrabad, Mirpurkhas, Sukhur & Larkana are requested to attend the Departmental Promotion Committee meeting on the said date and time.